Early diagnosis in MS is imperative to minimize progression and improve patient quality of life. However, many patients with MS continue to receive delated diagnoses. In addition, a lack of coordination within the multidisciplinary management team can lead to inadequate management of MS-associated comorbidities. In order to help ensure accurate and timely diagnoses and improve care-team coordination, Multiple Sclerosis Care in the Hospital Setting will explore the most recent advances in evidence-based diagnosis (including the use of biomarkers and neuroimaging), methods to individualize management with current and emerging therapies, strategies to address nonadherence, and the use of the whole-body approach in MS management. 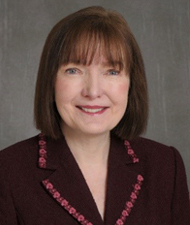 Patricia Coyle, MD, FAAN, FANA is a Professor and Vice Chair (Clinical Affairs) of Neurology and Director of the Multiple Sclerosis Comprehensive Care Center at Stony Brook University Medical Center in Stony Brook, NY. She received a BS degree with highest honors from Fordham University and her medical doctorate from the Johns Hopkins School of Medicine, where she was elected to Alpha Omega Alpha. While at the Johns Hopkins School of Medicine, she completed a residency and chief residency in neurology, followed by a two-year fellowship in neuroimmunology and neurovirology. She then went on to establish a successful research laboratory in addition to building a busy clinical practice at the Stony Brook University Medical Center. Dr. Coyle is the author of numerous articles on clinical and basic research aspects of multiple sclerosis (MS) and neurologic infections and she is recognized as a leading expert in these areas. Her other areas of expertise include Lyme disease and neurologic infections, cerebrospinal fluid, therapeutics, and neuroimmunology. Her research has been supported by the National Institutes of Health and other organizations. She is currently involved in a number of therapeutic trials testing new immunotherapies for MS, as well as studies addressing neurologic aspects of Lyme disease. In addition to her busy clinical and research careers, she has held active leadership positions in a number of national and international organizations and academic societies, including the American Academy of Neurology, American Neurological Association, National MS Society, and the American Board of Psychiatry and Neurology. She lectures widely on MS and neurologic infections to national and international audiences. Clyde Markowitz, MD is Director of the MS Center at the Hospital of the University of Pennsylvania. and an Associate Professor of Neurology at the Perelman School of Medicine at University of Pennsylvania in Philadelphia. He earned his medical doctorate from the Columbia University College of Physicians and Surgeons. He also completed residency, postdoctoral research, and clinical fellowship studies at the Neurological Institute at Columbia University College of Physicians and Surgeons in New York. Dr. Markowitz’s expertise is in the field of MS and he is involved with many clinical trials developing new compounds for the treatment of MS. His research interests include utilization of new MRI techniques to study the pathogenesis of MS, vision outcome measures in MS, and the immunology of MS. He has held the position of Chairman of the Clinical Advisory Committee for the Delaware Valley Chapter of the National Multiple Sclerosis Society. 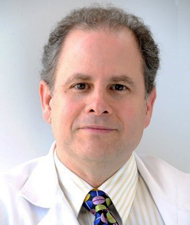 Dr. Markowitz is the author or co-author of a number of publications, and he serves as an ad hoc reviewer for Multiple Sclerosis, Annals of Neurology. Archives of Neurology, Journal of the Neurological Sciences, Neuro-Rehabilitation, Neural Repair, Journal of Clinical Immunology, and The Consultant. He is a member of the American Academy of Neurology and is certified by the National Board of Medical Examiners and the American Board of Psychiatry and Neurology. His work has been published several times in journals, such as Annals of Neurology and Neurology. This activity is intended for MS specialists, neurologists, PCPs, and other healthcare professionals who manage patients with MS. The Potomac Center for Medical Education designates this live activity for a maximum of 1.0 AMA PRA Category 1 CreditTM. Physicians should claim only the credit commensurate with the extent of their participation in the activity. This activity is supported by educational grants from Novartis Pharmaceuticals Corporation and Sanofi Genzyme.